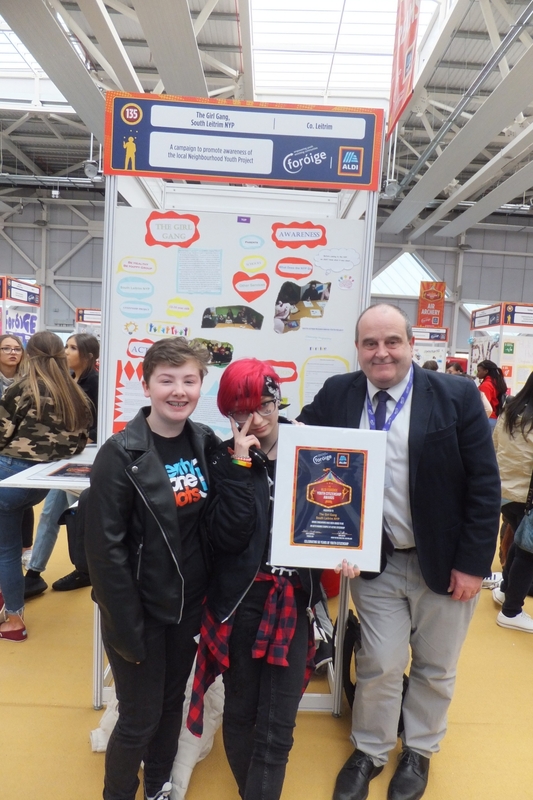 Three projects from Leitrim took part in the Aldi Foróige Youth Citizenship Awards in the National Indoor Arena, Blanchardstown, Dublin last Saturday, April 13. Seven projects received gold awards, seven silver and eight bronze. Gold winning projects included Adam Fletcher from Offaly, who carried out maintenance work on church ruins and the Saturday Club Phibblestown, Dublin 15, that raised funds for seal rescue. 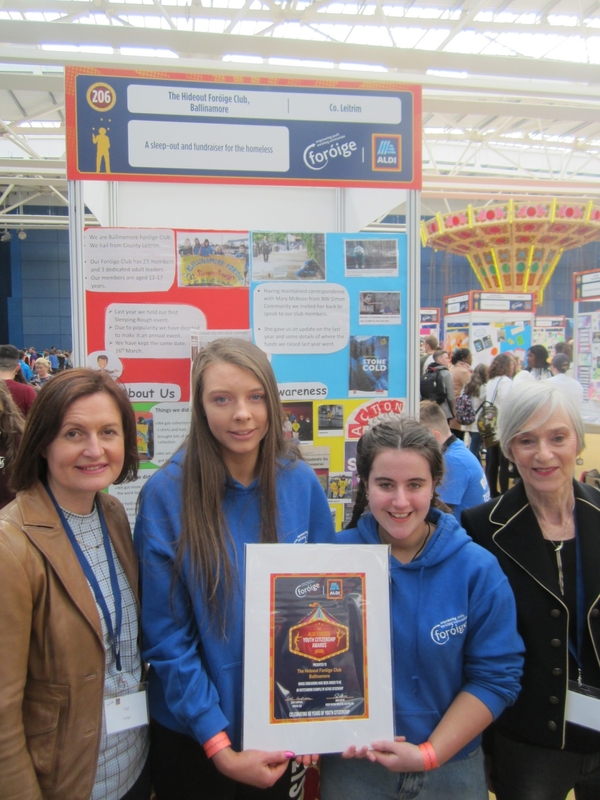 Gail O'Sullivan and Anne O'Donnell of Foróige present Siobhan Maguire and Molly Prior from The Hideout Foróige Club, Ballinamore in Co. Leitrim with a Certificate of Achievement at the Aldi Foróige Youth Citizenship Awards. Commenting at the Awards, John Curtin, Group Buying Director with Aldi added: Aldi’s partnership with Foróige is one that we are very proud of. This is the 5th year we have been involved in the Youth Citizenship Awards and over that time the programme has gone from strength to strength, with the number of entries growing each year. “Through their projects, the Foróige members raise awareness for homeliness and mental health, promote areas such as road safety and animal welfare and made the everyday lives of those in their communities better.